Today’s legal status of Crimea in accordance with the international legislation is pretty clear — it is an occupied territory. You are not allowed to visit Crimea if you have no official permission from Ukrainian authorities. Violators will be included in the sanctioned list. Thereafter, they may not be allowed to get a Schengen visa, etc. To minimize legal and other negative effects of travelling to Crimea, you should act in accordance with the international rules. Today Russian legislation is in force in Crimea. Thus, Russian rouble is in effect there. Some banks provide limited functions. That is why we recommend you to have cash on hand. If to put aside politics, Crimea is a place to enjoy sun, air, sea, nature, fruits and discoveries, i.e. the atmosphere if to be exact. This is a versatile place, and travelling by car will help you to explore its corners unless you are idle. location of springs in the vicinity of campsites (for those who prefer camping). It may also be helpful to make a financial analysis of your trip since visiting Crimea in summer can be very expensive. If two adults with two kids are going to stay there for 2 weeks, it will cost about 100 thousand roubles. 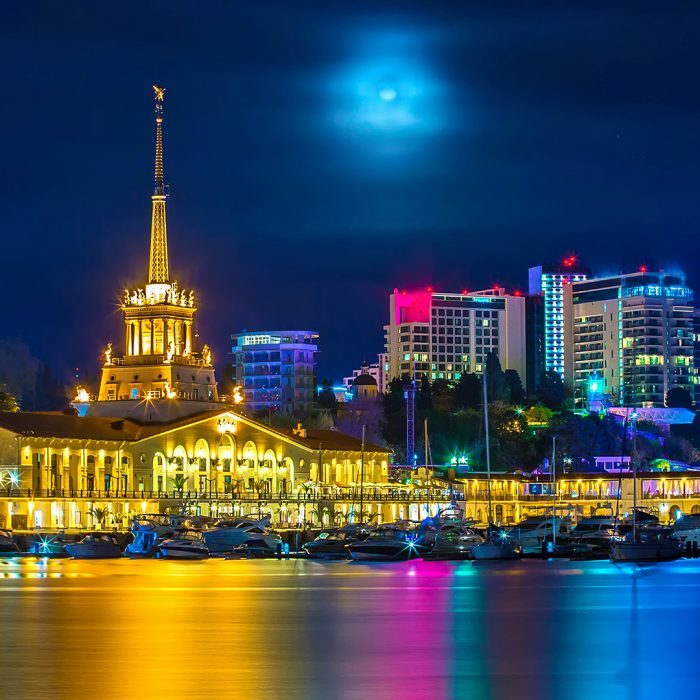 If you are going to rent a room in big cities (Yalta, Sevastopol), we recommend you to book it beforehand. Otherwise, you risk spending a fortune. If you prefer camping wild, you should buy everything (except for the short-lived goods) in advance. First of all, pack money and documents. Don’t forget your passports (it would be better if you take international passports. Otherwise, Ukraine does not give permission to visit Crimea), as well as childbirth certificates, MOD (Motor Own Damage) insurance or TPO (third party only) cover, medical insurance, registration certificate and driving license. If you are going on a car trip in the hot season, apart from sightseeing, you will also swim and sunbathe. Thus, first of all, pack your swimsuits, towels (that should be tourist towels, but not bath ones! ), tanning lotion and sunglasses. Do not forget headwear as well as a SPF 50+ sunscreen. Then pack a tent (before packing dry it thoroughly and drop out), sleeping bags and ground pads for everyone. Do not forget to pack the blankets, rugs, and pillows. If you have a car tent that can be mounted on the top, you can pack it too. However, keep in mind that it has limited space. Nevertheless, someone would still have to sleep in the cabin. Make sure you have packed enough pure water. Stock up on empty bottles (preferably 5-litre storage). Take some of that water with you. Fill the rest on site as required. To make the cooking process easier, take a gas range or multi-fuel stove; glassware (pots, pans, cutting boards, knives, travel thermos). The rest can be non-reusable (glasses, plates, spoons, and forks, etc). Take paper tissue as well as wet wipes (preferably, antibacterial). Don’t forget to pack coffee and tea as well as salt, sugar, instant soup or porridge packets, condensed milk, etc. If possible, take a car refrigerator. Buy fruits and vegetables at the Crimean market. All you have to do is wash them thoroughly. Don’t forget the garbage bags. It is quite important to practice proper hygiene on the road. Except for washing and rubbing down your hands, you should also have antiseptic sprays and use them as often as possible. In a wet and warm climate of the subtropical zone, germs reproduce very quickly. That is why you can easily get infected. If you can’t take a shower as frequently as possible, you can use a foaming cleaner (sold at the chemist’s). Each passenger should have his own toiletry travel kit with necessary cosmetics, brush, toothpaste, and toothbrush, etc. Check your first-aid kit. Make sure you have put appropriate drugs to treat poisoning (activated carbon, Enterosgel), a remedy for colds (slowly disintegrating tablets, anti-fever pills), anti-inflammatory drugs and pain-killers as well as insect repellents, a mosquito net or gauze. Make sure you have taken sunscreens, a battery pack, and accumulators for your gadgets and torches. 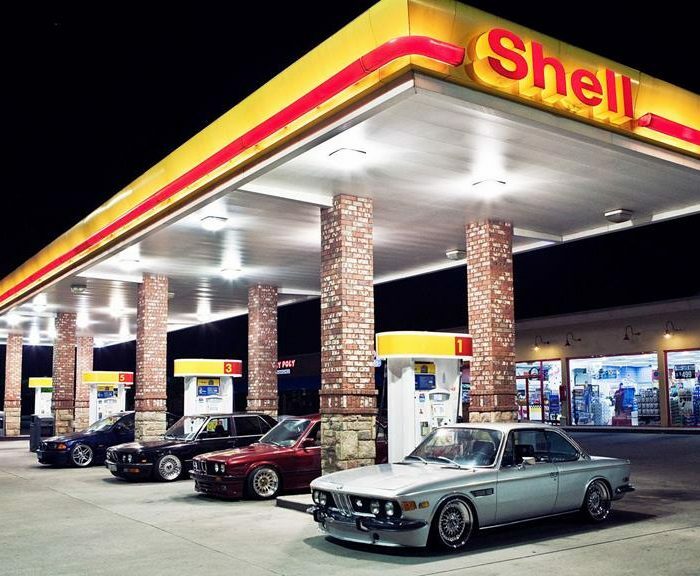 We strongly recommend keeping your gas tank full for each trip. You should also pack a wheel wrench, lifting jack, spare tire, and fire extinguisher. Check shelf life beforehand. You should also make sure your air conditioner works properly. A trip to Crimea starts with a ferry line situated in Cuban village of Ilyich (Caucasus port). From there, you should cross the Straits of Kerch. If you confirm e-tickets beforehand, waiting time reduces almost three times. The trip itself lasts no longer than 40 minutes. Despite the fact that about 60% of all tickets are sold online, queue management system works faster since you don’t need to queue. You only need to show your ticket and documents to the inspector. Ferries departure each hour and those who confirmed tickets beforehand have a chance to leave earlier. The timeslot is six hours, and it is not difficult to hit this time interval if you plan your schedule taking into account possible traffic jams. After you get off the ferry, stick to the following schedule — drive for 2 h 45 min, relax for 15 minutes (move actively, especially if your passengers are kids or animals). As soon as you have left Kerch, you should reach A17 road. before Simferopol, you will see road signs. 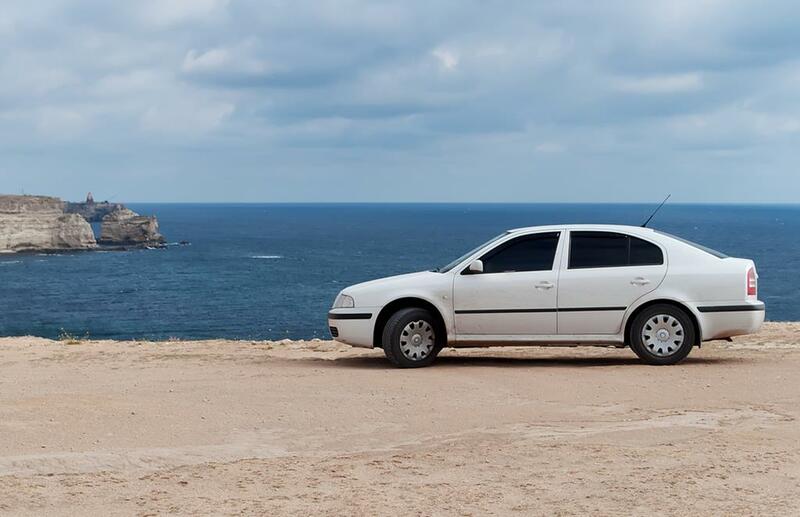 To reach Sevastopol, you need to drive through the city, if you need to go on the southern or western coast of Crimea, it is better to choose a by-pass road. Be extremely attentive when driving Crimean roads. There are a lot of mountain spiral roads while road conditions are not that good. In some places, speed is limited to 20 km/h. Crimean spiral roads have arrester beds that eliminate the motion even when you have no brakes. Sheep and cows often come out on the road. Beware of swindlers. We do not recommend you to leave a car off hand, especially at night when there is a risk of carjacking. If the area is suspect, we recommend you to look for a safer place. Take kefir or drinking yoghurt, as well as apples and bananas to have a bite. We strongly recommend you to have dinner only at roadside cafes where you see many trucks. Long-haul truckers eat only where the food is tasty and cheap even if the place itself looks like a shack. There are no Sberbank ATMs in Crimea. The rest take a 2-5% commission. 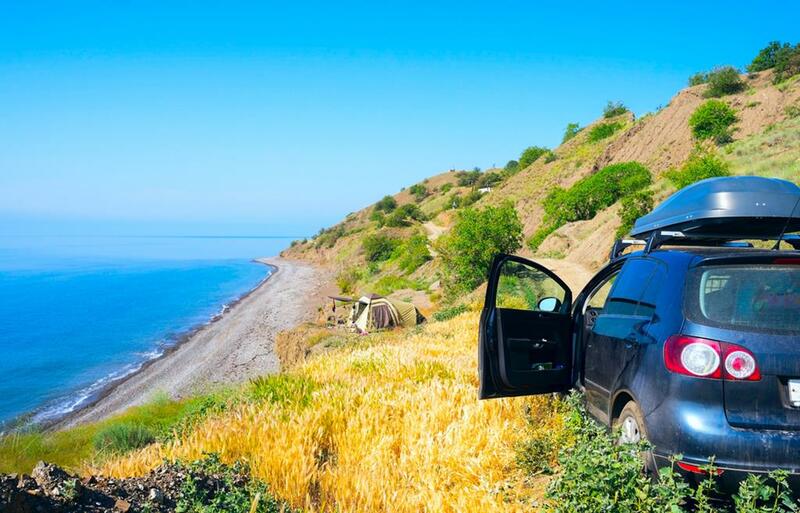 The south-western part of Crimea offers cheap accommodation for tourists travelling by car in tent camps of Peschanoe, Beregovoe, Orlovka or Andreevka. In the lowlands of Crimea, there are many parking lots nearby hotels. In this part of the peninsula, you can see caves, waterfalls and active temples. In Topolevka, Grushevka or Bogatoe you can buy berries, mushrooms, fish or herbs. Southern coast has a well-developed tourist infrastructure. However, to the west from Alushta, you can find many places to camp wild. There are a lot of campsites in Simeiz, Ponizovka, Hurzuf, and Koreiz. There are many campsites in eastern Crimea between Feodosia and Sudak. Ordzhonikidze village has a very beautiful beach area. We hope this article was helpful. Keep in mind that people tend to leave their driving license at home or suddenly discover that it is not valid anymore. Thus, we strongly recommend you to apply for the International Driving Permit beforehand.